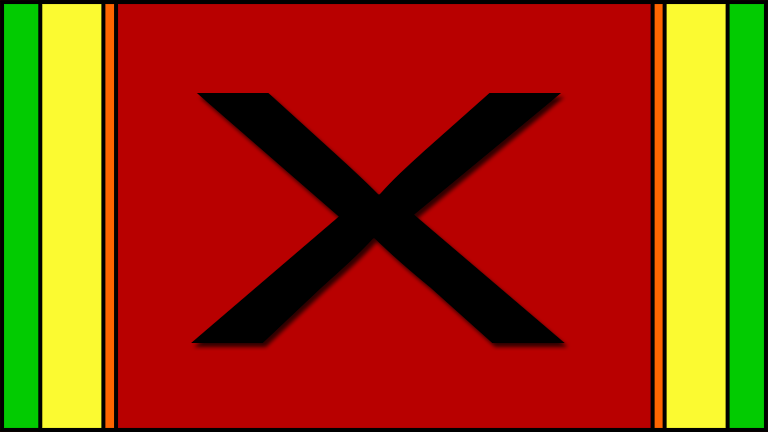 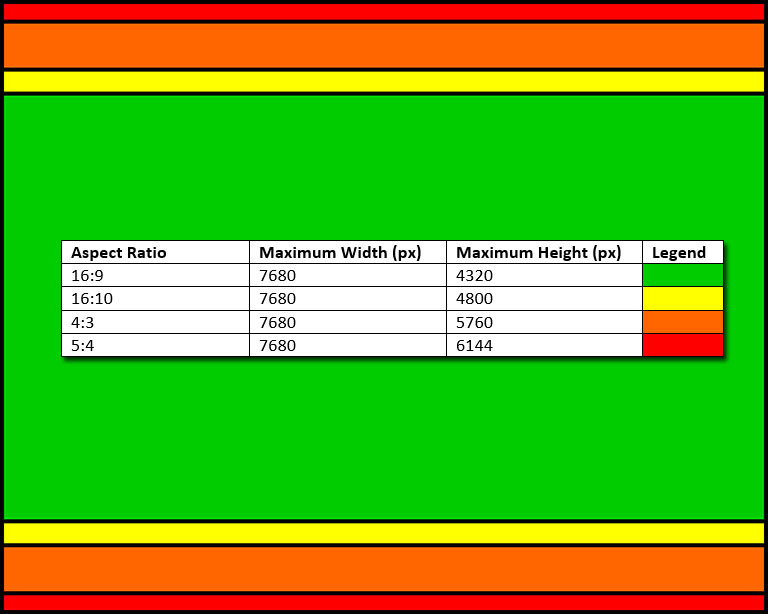 Using information from https://en.wikipedia.org/wiki/Display_resolution we can conclude that we mainly need to cater for 16:9, 16:10, 4:3 and 5:4 aspect ratios with a maximum width of 7680px. 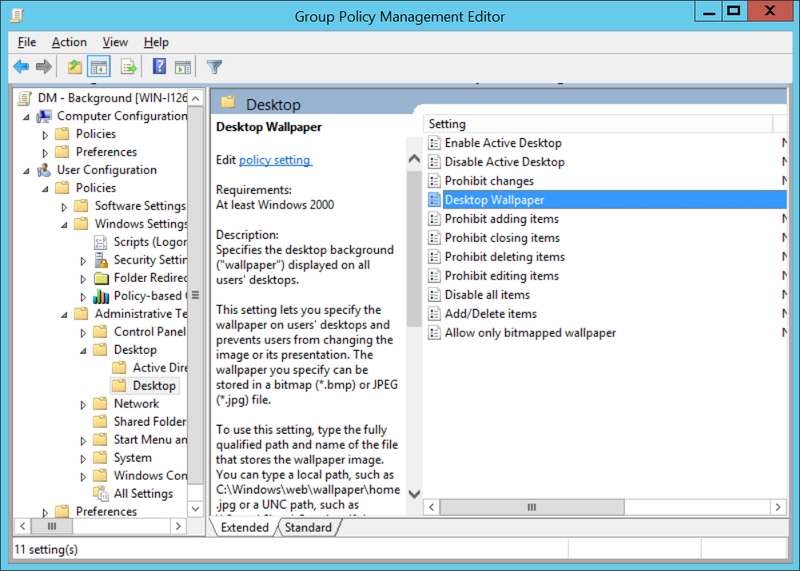 After creating the four different versions of the background, we need a way to control which version of background is pushed to the computers. 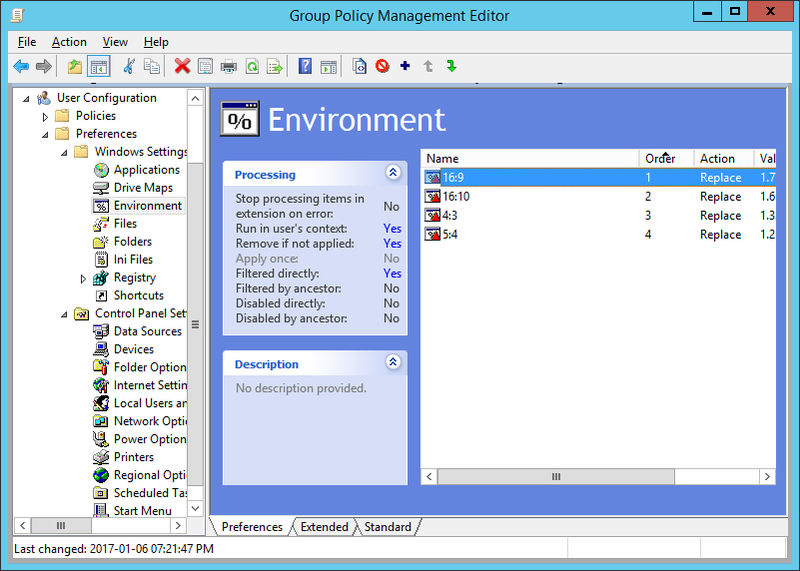 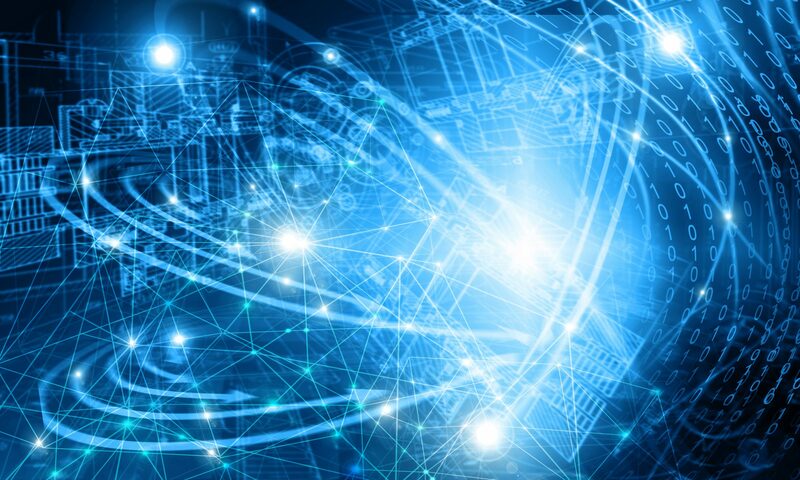 A C# application can be deployed as an addition to the GPO User Environmental Variables Preference Items as a GPO User File Preference. 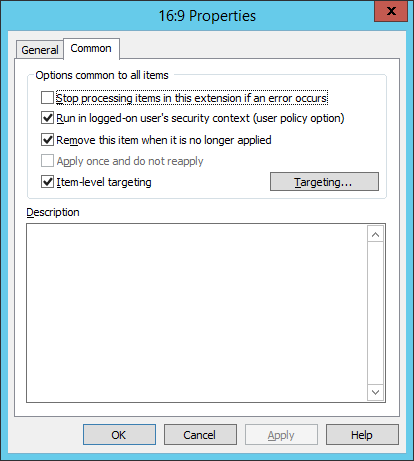 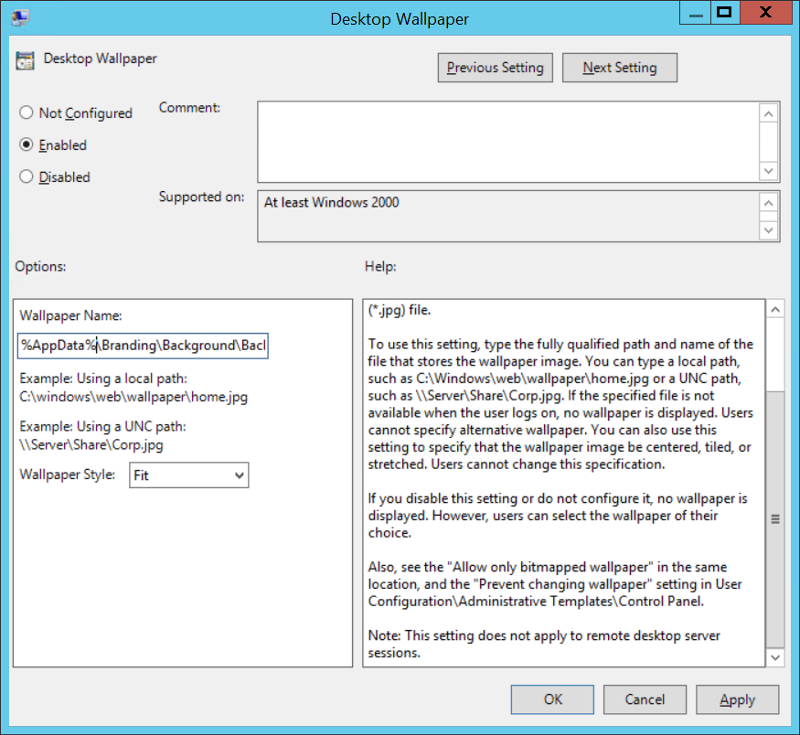 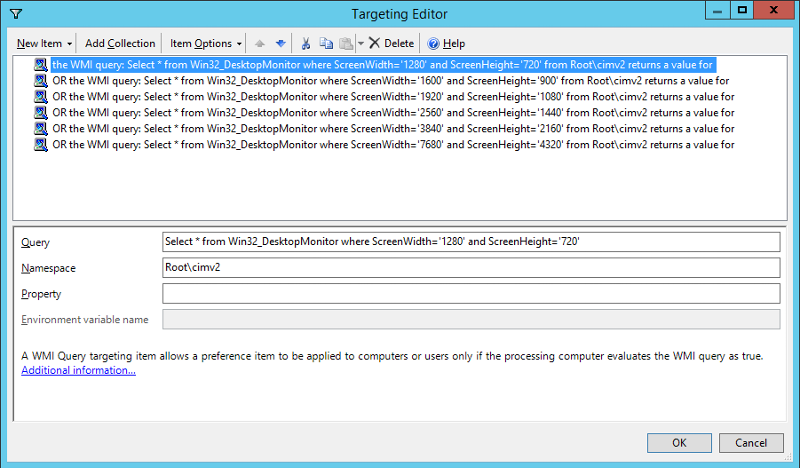 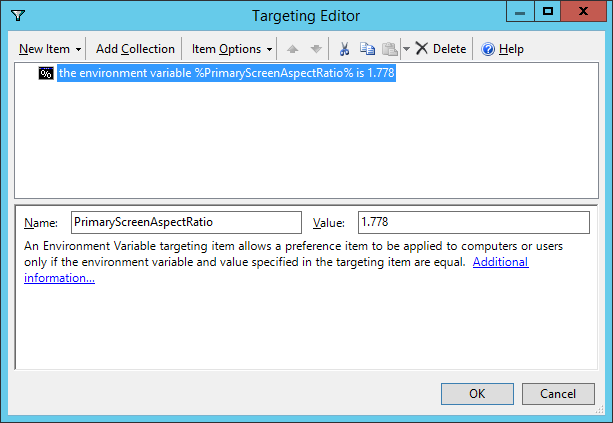 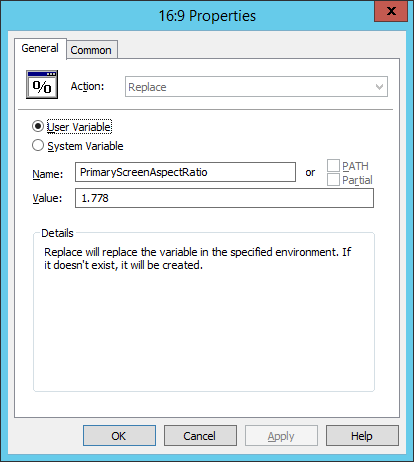 This is useful on RDP sessions and Hyper-V consoles where the WMI objects are not populated properly. 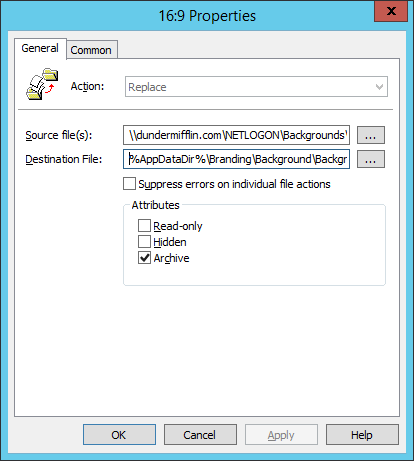 Now for the easy bit, just configure the background %AppData%\Branding\Background\Background.png.